With more and more people wanting easy snack options that don’t come along with a huge pile of junk, stores are starting to carry a lot more simple fruit and nut bars that aren’t full of puffed rice, weird whey isolates, soybean oil, and whatever it is they make that weird chocolate energy-bar coating out of (it can’t possibly be chocolate, because it doesn’t actually taste anything like chocolate…what is it?). These products are definitely too high in sugar to eat every day, but they’re great in a pinch. On the other hand, they’re pretty expensive, so why not just make your own so you can save some money and come up with the perfect flavor combination designed specifically for you? 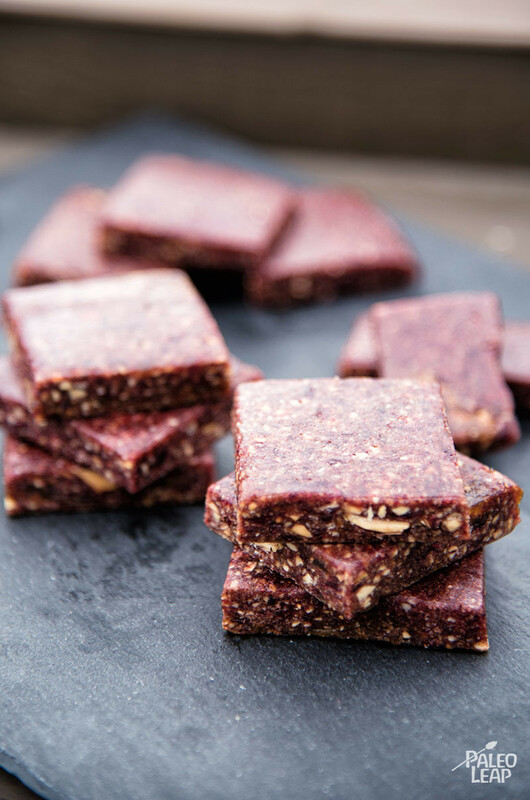 This recipe is for a cranberry-almond version, but you could use any other type of dried fruit to make totally different-tasting bars. What about dried apples? Apricots? Try mixing a couple different types, or even adding some spices. Again, these are very high in sugar, and natural sugar is still sugar: this is a dessert or treat recipe, not something to eat for breakfast every day. 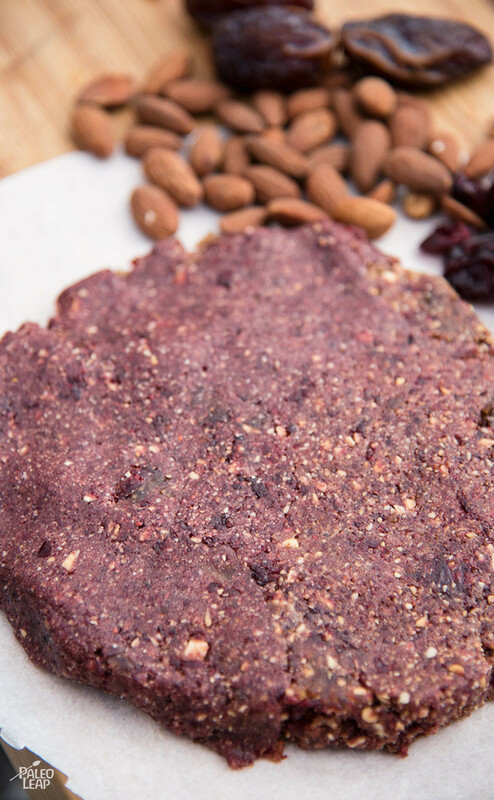 But there’s a place for occasional treats in the Paleo world, and if fruit-and-nut goodies are your treat of choice, this is a simple way to get exactly what you want. Place the almonds on a baking dish and bake for 8 to 10 minutes. Let cool before using. In a food processor, combine all the ingredients and pulse until the ingredients start forming a ball, scraping the edges of the bowl to prevent the mixture from sticking. Line a baking pan with parchment paper. Spread the mixture out into the pan, and shape into a large rectangle. Top with another piece of parchment paper, and refrigerate for at least 1 hour. Cut into evenly shaped bars.